Two years ago, at a separate BBQ class in SoCal, one of the instructors had asked the students present, how many of them had taken Harry’s BBQ 101 class. About 60% of the class had raised their hands. We were all shocked and that included Harry Soo. If you haven’t taken his class, or aren’t part of the California BBQ community, you would not know that his class is a great way to get started in BBQ competitions. Believe it or not, at any given contest, about 40% of the field are his alumni. One of Harry’s students, Mike Brady, took one of the SYD classes (and participated in his first backyarder) as part of his BBQ journey. Interestingly, Mike also took a class from Jerry Aguilar, another one of Harry’s students. So Harry’s students have gone onto becoming instructors. As you will read in this article, Mike had an absolutely terrific first year competing on the BBQ circuit. If you meet Mike, his wife Gayle or his daughter, Amanda, you’ll soon discover that he and his family are really down to earth people. Give him a complement and he might almost seem embarrassed. It’s rare that you can combine such dog-gone humility and success into one team. I have deeply enjoyed watching Mike and his family climb that ladder quietly this last year. Though he won’t say it, competing in the CBBQA rookie race is tough as nails and it was neck and neck for much of the year. Hound Dog BBQ has much to be proud of for 2014 and even more for 2015. If you are thinking about entering competition BBQ, Mike’s path is a textbook case for success. We wish him, Gayle and Amanda continued success as they cook and mentor other teams and judges on the west coast or wherever they travel. Barbecuing began for us, as for many, in the backyard for our family and friends throughout the years. As barbecuing as a sport became more popular and competition shows were televised, inspiration struck for our family and we began to experiment with new grilling and smoking techniques. In 2012, the formal education began with Harry Soo’s BBQ Class. With the new techniques, flavor-profiles, and tips learned from Harry’s class, many practice cooks ensued at home. In 2013, our hometown, Ontario, was hosting a backyard competition, and we felt it was time to get our feet wet. In preparation for our first competition we had to develop our team. Our main team is a father, mother, and daughter combination: Headcook-Mike and Assistants-Gayle and Amanda; and our extended support team is made up of more family and friends as well. Another important member of our team is the inspiration for our team name. Smoke Hound BBQ is named after Mrs. Columbo, the family Basset Hound. Whenever there is an opportunity for barbecuing in the backyard, Mrs. Columbo is always close behind. Once our team was formed and a lot of preparations completed, we were ready for our first backyard competition, the 3rd Annual Best Backyard BBQ Contest in Ontario. Later in 2013, we also participated in the 1st Annual Harry Soo Groovin’ Barbecue Competition in Temecula. Another valuable experience was attending a couple of KCBS-sanctioned BBQ competitions as a spectator. Being able to speak with several teams, observe the whole experience, and being encouraged to join, showed just a glimpse of everything the barbecue community had to offer. Experiencing surprising success in both backyard competitions, gaining valuable experience from open judging and helpful mentors, and observing competition on the large scale, provided the constructive advice needed to grow and improve. A bite from the barbecue bug inspired us to dive in head first into competition barbecue the following year. We started off the 2014 season by preparing for competing at the next level by gaining even more knowledge from the California BBQ Association Competition Barbecue class in Lake Cachuma. This class offered us more tips and techniques from many of the top pit masters in California. Putting all of our knowledge, feedback, and experiences to use, we participated in one more backyard competition at the Smokin’ in the Foothills BBQ Challenge in La Verne. At this point, we were nervous about entering this level of competition and our main goal in starting out was to not embarrass ourselves, but thanks to the encouragement of others, especially Harry and Donna, we were ready to take the plunge and begin our rookie season of competitive barbecue. We started our 2014 season with a bang, literally, out at the Havasu Landing California BBQ Championship. Our first competition turned out to be not only the furthest competition, but also the one with the worst weather. Despite the bad weather, our team persevered in our first professional barbecue competition and came away with a 7th Place overall. Throughout the season we were blessed to be able to participate in eleven competitions all over Southern California. 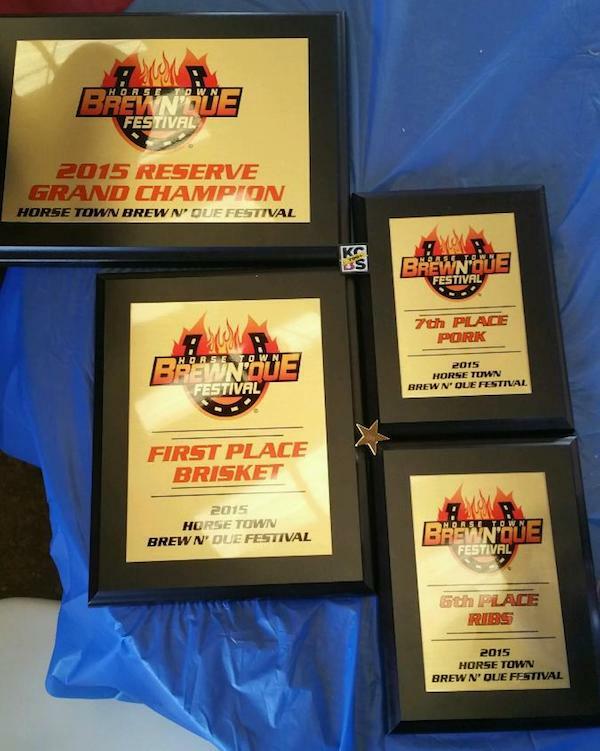 To our surprise, we received calls at nine of the eleven competitions, including a 1st Place in Brisket. Throughout the year, we also were able to participate in People’s Choice sampling with the support of our extended family team, which is a lot of hard work, but rewarding when the public responds with positive feedback and enthusiasm for our food. Throughout the season, we fought hard in the Rookie of the Year race, and finished in 2nd Place to Pork Daddy’s BBQ. One of the greatest experiences was being welcomed in as a part of the camaraderie and community of barbecue all year long. To further ourselves and experience another aspect of barbecue, we attended the KCBS Judging Class and the CBBQA Advanced Judging Class. Experiencing the training that the judges receive, gave us further insight into how our barbecue is judged and what we need to better focus on. This experience was furthered by judging at a couple of backyard barbecue contests, as well as paying it forward by mentoring some new barbecue teams at backyard events. Capping off our 2014 season, we sought out one more learning opportunity, the Burnin’ and Lootin’ Competition BBQ Class. This class provided another perspective on techniques and flavor-profiles that could help bring our barbecue up in the ranks. Each of these experiences helped to further us in the field of barbecue and shorten the learning curve. 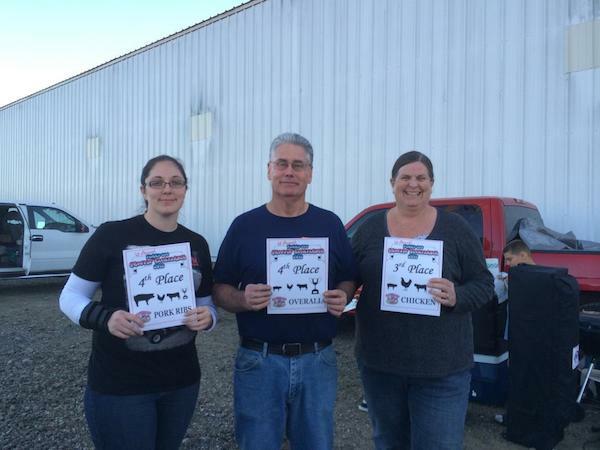 We started off 2015 with a celebration of the 2014 season at Q-fest and the annual CBBQA awards. This event was a wonderful way to celebrate with fellow barbecue teams. We couldn’t think of a better way to start off the new year. Thus far in the 2015 season we have competed in three competitions, and are planning on a few more as the year progresses. At Santa Anita, we had the privilege of having a judge, Gerald Cruce, cook with us who was working toward his Master Judge title, allowing each of us to share our different experiences with each other. In two of our three competitions this year, we have received calls, and the greatest, most exciting finish we have had thus far. 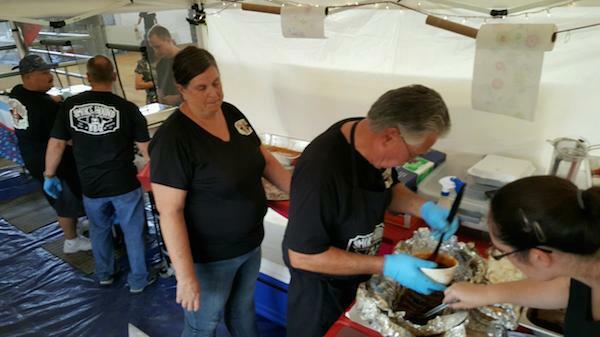 At the Norco Brew ‘N’ Que in May, Smoke Hound BBQ experienced the realization of our barbecue dream. We competed against 75 teams, including Myron Mixon, Moe Cason, and many of the top teams in California, and performed our best yet, with a 1st Place 180 in Brisket and a 704 overall, earning our first Reserve Grand Championship. Throughout our journey, we owe many of our positive experiences and outcomes to our family, friends, and many of the barbecue community. We owe thanks to our fellow competitors that have offered encouragement and tips along the way. Thank you to our wonderful KCBS reps. that always have a kind and encouraging word to say as they organize these competitions. Our growth in barbecue is owed to many of the providers of classes we have had the pleasure of attending, as well as the support offered by the CBBQA for new teams. Last, but definitely not least, Smoke Hound BBQ wouldn’t exist without the support, inspiration, and love of our family and close friends. It is a whole family effort, and spending quality time together throughout competing makes it all worth it. As the 2015 season continues on, we look forward to reaching new goals and entering the next chapter of our barbecue journey.